Sense of time is a very subjective and individual matter and strongly depends on which activity you spend your time on. The Blank wall clock by Marti Guixé can be designed just as individually. 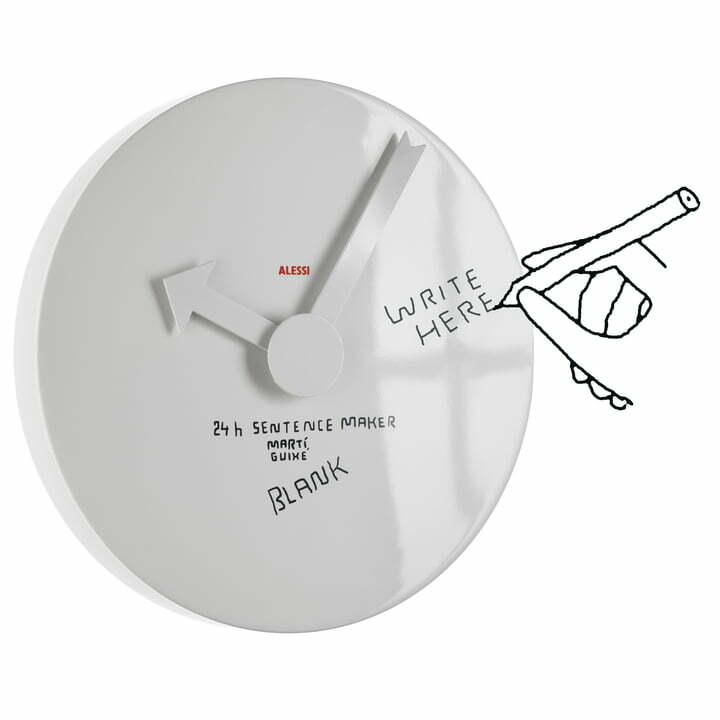 The white, circular dial of the Blank wall clock is free of decor. The user is challenged to fill this – and with that the elapsing time - with pictures. Thanks to the included washable felt pen, this can always be redone. You can also allocate names, functions or small pictures to the times. 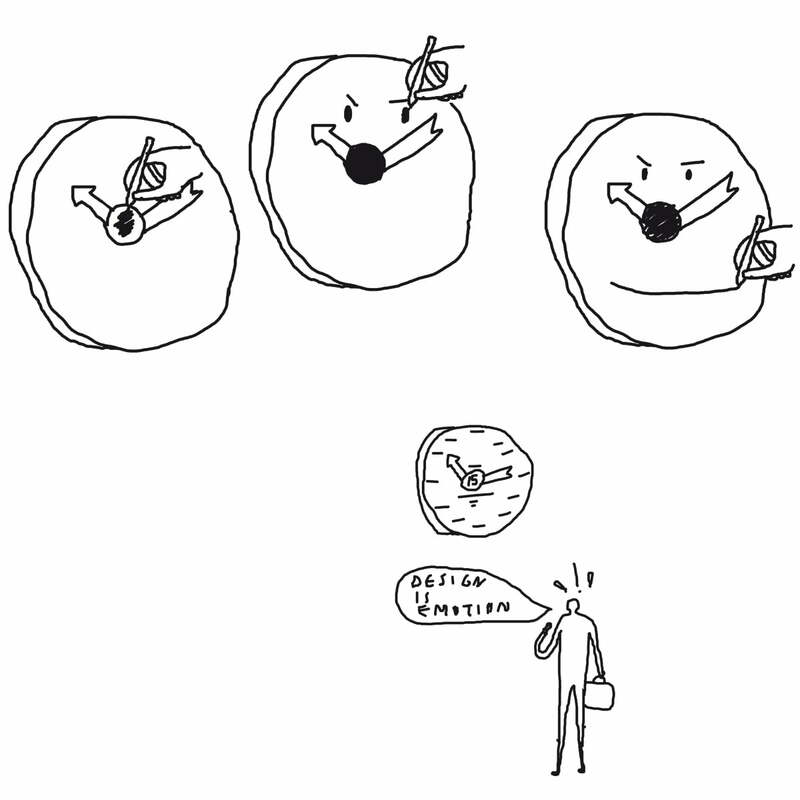 Additionally, hour and minute hands can build new connections, messages and contexts between the inserted messages via the joint in the middle of the clock: Every new hour thereby reveals its own message. This becomes particularly interesting when the small hinge point in the middle of the clock is written on. Whole sentences can then be created. 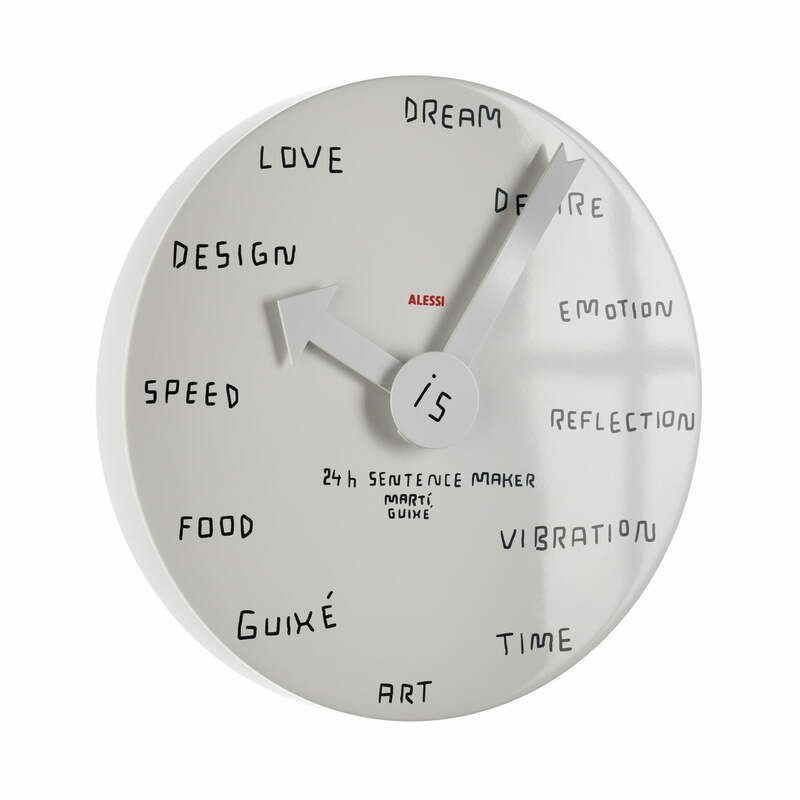 This is also the idea behind another available wall clock, the 24h Sentence Maker. This comes with decorations, and the moving arrow creates new word connections which are pieced together through the "is" on the hinge point of the arrow. 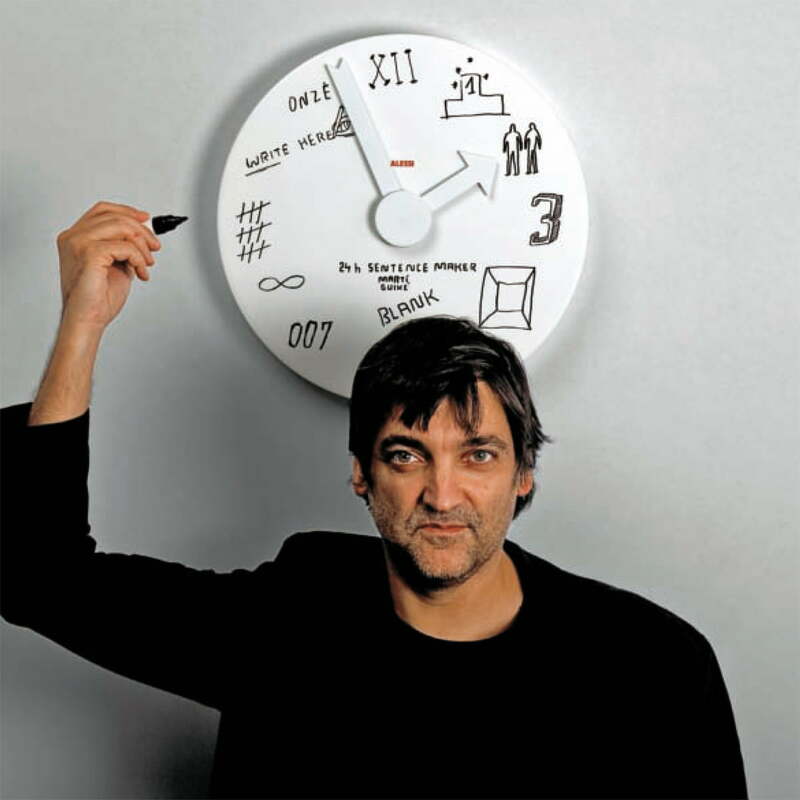 For example, at 10.10am it says "Design is emotion", or at 7.30pm, "Guixé is art".